If you are like most people, when it comes to investing, you primarily consider the stock market and all its related investment vehicles, first. Unfortunately, untimely market corrections can wipe out a significant portion of your investments at the wrong time when you put all off your money in the stock market, as many retirees learned the hard way during the Great Recession. Wise investing in the stock market certainly is a good move, but an even better move is to diversify your investments outside of the stock market to generate more investment income streams, while protecting your investments and retirement dollars. 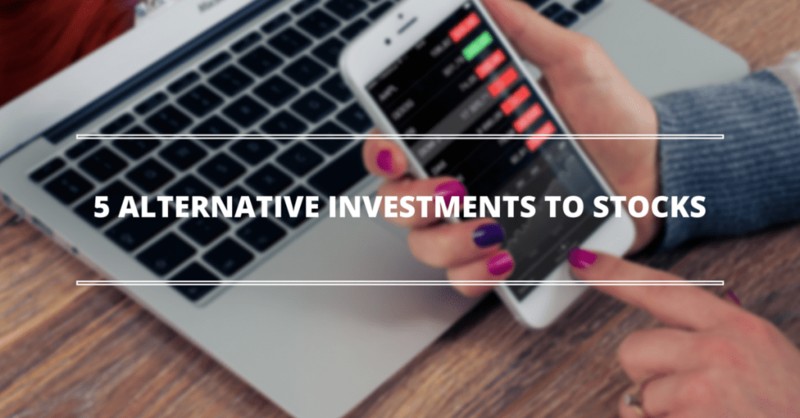 To help you do that, here are five alternative investments to stocks that can provide good, stable income before and during your retirement years. Annuities typically are underwritten by life insurance companies and work similarly to some types of life insurance. You pay a premium, and over time, your annuity will grow in value. Some annuities have investment options, which also come with investment risk, and others have varying degrees of tax liabilities and fees. Yet, when you buy the right annuities for you and your family, you can derive a significant return on your investment over a number of years and receive a reliable income for many years. You likely are aware of bonds, and not just the ones you heard about in old war movies that the government used to raise money to win World War II. Bonds come in many types and offer guaranteed returns on your money, with many investors preferring the security and nearly guaranteed gains of government bonds, many of which have the added benefit of being tax-exempt and provide tax-free income. High-yield emerging market bonds are riskier investments with taxable returns. Few investments over the past several decades have been as reliably rewarding as buying gold. When you buy actual gold and not just shares in gold investments, you have a firmly tangible asset that has the rare dual demand of being as useful in industrial applications as it is in purely decorative value. Barring the unlikelihood of an alchemist converting lead to gold, your gold always will hold value, and likely more than when you bought it, although the market does fluctuate during the short term. Your primary concerns are where to store your gold, and how to convert it to cash when necessary. You might not fancy yourself a banker, but you can be just like one by participating in peer-to-peer lending. Often times, people will create trusts, which then loan money to individuals or businesses that the trustee considers to be a good risk. The loans typically are done via promissory notes, in which the lender and borrower agree to lending and repayment terms. Your biggest risk is borrower default, in which case, you’ll have to go to court to get repaid. Real estate is one of the most overlooked alternative investments to stocks; yet, it’s also one of the best for generating significant income that can last through your retirement years. It even works great as a legacy for your heirs. One of the best types of real estate investing is turn-key rental properties, which are move-in ready residential or commercial rental units, and likely already have renters. Investing in turnkey rental properties gives you the confidence to invest in a model managed by professionals that often deliver consistent returns, which can reduce your investment risk. To learn more about investing in turnkey rental properties, click here.